it does a good job at stopping stuff. however the interface now used is overly complicated. your drowned in to many modules, you can not make heads or tails of it. its overly protective, and caused disk thrashing (both dvd and blu ray burner. its a space hog also. 1.2 gig? why? i am an old subscriber from 2016. what they have done is ruined a perfect product. It’s a really awesome product. I love it. I bought the Bitdefender AV (the basic version) at a really great sale on Amazon.in, at a retail price of Rs. 150 (nearly $2 ) for a 1 PC, 1 year license. They immediately gave me a license key via email, which I added to my Bitdefender Central account and downloaded the latest 2019 version. I thought it was such an amazing deal; the best AV (as reviews on the internet say) at such a throwaway price. But alas! I was wrong. Problem 1: The detection engine is good. I was pleasantly surprised as it immediately detected a few malware in my PC. But a few days into it, it started detecting some genuine software as malware, along with false ransomware detections. At first I believed the software, but a bit of research on the internet showed me that it has a history of detecting many genuine software as ransomware, with no way to unblock them. So much for over-the-top protection. Problem 2: My PC has i3 with 4 GB of RAM and Windows 8.1 64 bit. But Bitdefender seems to need a lot more that that. My PC practically freezes when Bitdefender is doing a random scan. Sometimes, it’d start an automatic background scan when I am actively using my PC. These are supposed to be done in idle state. Apps take a lot more time to launch and my system is in a constant state of slowdown with that stupid AV. So much for an ‘optimized’ software. Problem 3: The update thing is broken in Bitdefender. Most won’t notice it, but I am used to manually updating my AV software everyday when I turn on the PC, even though the automatic updates are enabled. I do the same in Bitdefender, and noticed that it takes a lot of time to update, not to mention the huge amounts of data it consumes in the background when updating (somewhat like 500-700 MB). Unlike other AV’s which download updates in the range of a few MB’s. Very suspicious for such a trusted AV. So much for ‘streamlined’ updates. Problem 4: I like having control of my AV. Most users are install-and-forget type, but not me. Bitdefender has a very confusing layout, with lots of hidden settings and everything. Even after using it for a month, I was continuously discovering new settings almost everyday. I hate its Autopilot mode, which essentially makes me the slave of Bitdefender, not the other way around. So much for a ‘user-friendly’ software. I finally got fed up with it, and decided to abandon it even though my license said that over 250 days were left in my subscription. I paid peanuts for the software, so it was easy to discard. I toyed around with many free AV’s such as Avast, Kaspersky Free, AVG, Norton IS Trial, before finally settling on a paid Kaspersky Basic AV and CyberReason RansomFree for Ransomware protection. Kaspersky is ultra light, and allows me to be in control with an unparalleled detection rate. Planning on renewing my subscription of Kaspersky after this one gets over. This review is of Bitdefender Basic AV. I can only imagine the horrors of Bitdefender Internet Security with its more controlling features. Roger is quite right, but I still use BD. Detection is good, as is their Safepay feature, and, most important, it is affordable. I don’t deny some of the BD downsides mentioned above to be true, and if Kaspersky would offer the same deals, I would be off like a shot, but for the time being I will stick to BD. Melhorou muito no quesito ser muito mais leve que as versões anteriores, o visual tb mudou e está mais interessante é complexo porém eficaz, meio chatinho para desativá-lo todo caso queira fazê-lo para rodar algum crack ou algo do gênero, considero-o hoje um dos melhores antivírus que existe, batendo de frente o Kaspersky e ou outro de renome. Hoje no Endpoint é Bitdefender e ou Sophos Central que comandam bem uma rede de grande corporações o Bitdefender é muito bom mesmo e no caso desse Internet Security ele é top no quesito segurança. Está digamos bem aceitável pelo que oferece porém ainda prefiro o da Central para Endpoints que é mais básico no visual porém completíssimo na segurança tb. Podem usá-lo estarão hiper seguros. The best antivirus in world ! Just ignore “haters” comments from other antivirus software !!! It’s not heavy on resources , has best detection and properly configured is your best ally ! First, this can appear to be a viral infection to other anti-malware programs which treat files with ADS (that are not well known system files that use ADS) as suspicious. Second, files with ADS are usually classified as “unmovable” so they cannot be defragmented, and prevents other neighbouring files from being contiguous. So, if you have a drive that reads / writes a lot of files regularly, you will end up with a heavily fragmented, slow, and undefragmentable drive. Not to mention if you are trying to back up the drive, the backup image is not as compressed nor readily accessed. Yes, it is heavy on resources. Way too heavy as far as I am concerned. It does generally does a good job though at protecting your system. And if you are paranoid, BitDefender is a Romanian company. I’ve been using Bitdefender Internet Security for about four years now. It provides a firewall, and secures my surfing, my email and my hard drive. It does its job and I haven’t had a single virus. Some say it’s heavy on resources. On my computer, it uses around .5% of processor and about 3% of my installed memory. For all around security, that seems very good to me. Bitdefender also scores very high(usually first or second) in all virus tests. To temporarily disable it is not as easy as other security software. You have to open the program. Then it takes two more clicks to disable the antivirus, which isn’t terribly cumbersome. FYI, I have two other security sofwares, which I run manually from time to time as a second opinion. One is Malwarebytes, the other is SuperAntispyware. They are both free versions. I would definitely recommend Bitdefender. If it doesn’t work for you, just uninstall it. What the heck…It’s free for now. I’ve been using Bitdefender antivirus since longer than I can remember and I’ve never had any trouble. It was never heavy on resource usage. Every once and again I tried other antivirus solutions and I never felt as safe as I do with Bitdefender. “,но потребляет МНОГО системных рерурсов…”!! !Это Вы АНТИ РЕКЛАМУ себе сделали?!?!?! I used BD Internet security for 2 years. There was no need for any Malware. it could also stop the keygen.exe’s from pirates .The online support from abroad was also helpful. But if you are from India, do not use this. BD associates in India do not know what is customer. A number of email messages to them were not replied. Indians are by far the worst customer service people on earth. They didn’t even know what to do when BD failed to load following a .dll file corruption. I HAVE UNINSTALLED BITDEFENDER COMPLETELY FROM MY SYSTEMS. THE EXPERIENCE WAS THAT BAD! 1. You have to run their 323MB web-downloader/installer for EACH and EVERY machine you intend to install on! To make matters worse, the download is often interrupted, cannot be resumed and is just a big, slow pain even on my fast, stable Internet connections. 2. You have almost NO CONTROL over how Bitdefender runs. You cannot disable it temporarily, for testing applications, downloading *unusual* applications, etc. It runs so many “mysterious” processes that it takes real detective work to determine that they belong to Bitdefender. 3. It is a nightmare to configure Exclusions from its detection routines and, even then, it sometimes ignored my instructions. I had to INDIVIDUALLY select each file and folder for inclusion in its alleged “Ransomware Protection” module, which is nothing more than a fancy-named sandbox. I did not use a Bitdefender Firewall but expect that that would be even more problematic. 4. It is heavy, HEAVY on system resources, especially CPU usage, while Memory usage is MORE than Malwarebytes Antimalware Pro, EMET, Windows Firewall Control, Anvir Task Manager, Zemana Antilogger, and Service Commander… COMBINED!!! 5. You cannot turn-off or disable features that automatically run as Services whether you want to use them or not; for example, Bitdefender Wallet. Even renaming their executables (like Wallet’s) does not stop the service from automatically re-starting at reboot. Reading how wonderful so many commenters find Bitdefender, I feel like a heretic who hates Grandma’s cookies but I would NEVER recommend this security solution to anyone, unless it improves dramatically. To add insult to my injury, both Bitdefender and Avangate have ignored my repeated web-contact, email AND telephone requests for a refund. Luckily, I used a Paypal Credit Card (not my Paypal account)and they are trying to help me get a refund. At least, today potential users can learn for free whether this software really is “best” for them. I hope your experience is much, much better than mine. Good luck. Not to take anything away from your rant but the answer to problems 2-5 is to turn off autopilot then you’ll have control of what you want Bitdefender to do. I use I Bitdefender but like yourself I like control so I don’t use the autopilot. You are categorically wrong, not only in your tone but, more importantly, in your facts. Turning off Auto-Pilot does NOT prevent several (all?) Bitdefender Services from auto-starting; does NOT enable bulk-selection of Exclusions; does NOT permit temporarily disabling running protection modules in a user-friendly manner; does NOT eliminate (or even reduce) excessive memory consumption by its core modules — bdagent.exe , and the un-killable Wallet executable (bdw…exe ? ), for examples. If you have *accurate*, contradictory information about the SPECIFIC issues I found to be just-not-worth-it, perhaps you will share it in better detail and in a more collegial tone. “Turning off Auto-Pilot does NOT prevent several (all?) Bitdefender Services from auto-starting.” Several yes if you turn them off. Why would you want to stop all services from starting? “does NOT enable bulk-selection of Exclusions” Who said it did? New complaint? “does NOT permit temporarily disabling running protection modules in a user-friendly manner” Click on the modules settings (the little gear) and disable for spacific time or turn off. For me this is user-friendly. “does NOT eliminate (or even reduce) excessive memory consumption by its core modules — bdagent.exe, and the un-killable Wallet executable.” Turning off said modules will reduce memory consumption. I don’t get the excessive memory consumption you speak of, but I also don’t use all the modules, Wallet being one of them. Should say specific not “spacific”. I know, I know. Thanks for sharing your experience. I note that on the forum Malware Tips, Kaspersky is far more popular than Birtdefender. Even ESET and Emsisoft are more popular there than Bitdefender. Hum… des fois, le problème se trouve entre la chaise et le clavier ! 3. c’est vrai, Bitdefender est plutôt conçu pour être utilisé de manière “simple”, dès qu’on veut rentrer dans des configurations spécifiques, ça peut être galère (mais ça ne concernera pas 99% de la population). Le principe d’un « Ransomware protection » correspond assez bien à celui d’une sandbox donc je ne vois pas la souci. Thank you for your comment. It’s really helpful and you are saving our lives. By the way I’d recommend F-Secure. It’s very soft and light on system. I was using only trial version, twice, and, in my humble opinion, it’s really, really remarkable. i used 2016 ,2017,now 2018 and is very good no problem …and not slow my pc never 2016-2018… my pc intel i5, 16gb ram,win 10 pro, ssd….i think you hdd is problem..use ssd . you mention the system impact of malwarebytes pro and zemena. i hope you are not running these with bitdefender, because conflicts in security software might be the reason for your lethargic system. bitdefender is good enough to use on it’s own. that said, the best usually are a bit heavy, and bitdefender and kaspersky are usually the best in lab tests and both are heavy. You should first mention what type of PC you are using and how much available memory you tried to run the software on. This is the problem with a lot of reviews about Antivirus software’s, people install them on 10 year old machines and expect their 10 year old machine to run modern software without any issues. I have a 2 year old machine, zero problems running bitdefender, XPS 8700 i7 3.6Mhz 16GB’s ram. And I would like to add to that, the first thing you should do is a complete system scan with Bitdefender to get it familiar with your machine and all it’s files, it helps the machine adapt to your system. JMO……. Bitdefender was probably my top-rated anti-virus in 2015. That was because of well laid out options and protection features. At the same time, it had a good rating from AV-Test Insitute based on its usability, protection and performance. Having said that, when Bitdefender Internet Security 2016 was out, it was a matter before I tried it out too. Here is what I found. Bitdefender Internet Security 2016 has an improved interface. The slight change, however, hasn’t jumbled up the initial layout hence making accessing the features in this version easy. 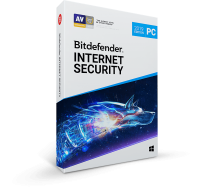 This version also has a Bitdefender Central option that can allow to manage devices that you have the program installed on, from an online console. When using Bitdefender Internet Security 2016 I found it different scan profiles helpful. Due to the less time that it averagely took to complete scans, the Quick Scan mode was my most used mode. The way that this mode works is that only concentrates on the locations that are usually prone to malwares. In addition to this mode, this version of Bitdefender also has the Vulnerability scan and System scan modes. When I compared it to the 2015 edition, Bitdefender Internet Security 2016 clearly has improved features for firewall protection. This protection mode worked pretty smooth without making me feel like the program was applying a blanket blocking approach. Actually, apart from the predefined rules for blocking specific applications, I was also able to define my own rules. Bitdefender Internet Security 2016’s UI shows some improvements to its predecessor. With the slight modification, options to perform core functions of the program are still easily accessible. Furthermore, I noted the addition of a new tile dubbed Bitdefender Central. Last year’s version had a Tools panel which is now replaced with a Modules link at the bottom left side of the main window. I was able to log into Bitdefender Central using my Facebook profile. However, you can also do so using your e-mail, Google or Microsoft accounts. While on the panel, I found a couple of useful features. The features are locking the devices in which I had installed Bitdefender Internet Security 2016 and accessing the parental control module. It is a fact that, once in a while, you would want to turn off an anti-virus program. While Bitdefender Internet Security 2016 was running, I noted it does not have a quick option in the system tray that I could use to turn the program off and on. I noted a slight lag on my computer’s performance while Bitdefender Internet Security 2016 was running. This meant that the anti-virus resource usage was quite notable especially when compared to its predecessor. The heavy computer resource usage was relatively the same when both the program was active and idle. 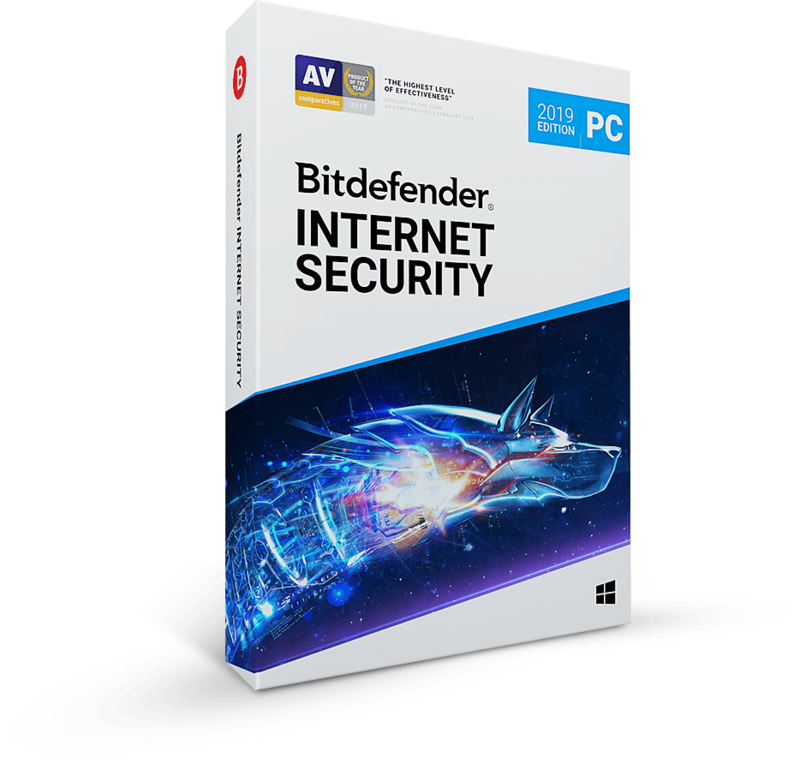 If you want an antivirus that mainly focuses on your computer’s safety, then Bitdefender Internet Security 2016 can easily be at the top of your list. It’s heavy resource usage might be the reason to make you think otherwise. However, it is quite stable, offers useful protection options and runs smoothly. The fact that I have been using this for a few years is indication that I believe this to be one of the best anti-virus suites out there. However, there are a few minor points that really niggle me about it – such as it continually nagging me to contact Bitdefender home base, or throwing up nag screens when I’m doing a screen record. Good at ‘defending’, but could be more user-friendly and less in your face. So, 6 month’s subscription. Anyone in need of an antivirus now, I would say “get it”! But can I download it now, and use the key in the future (when my current subscription runs out)? I am using this antivirus since one year . This is a very good and light weight antivirus. solo quería bajarlo no hacer una instalación obligada de una ves, ya tengo antivirus y solo quería tenerlo de respaldo para probarlo en otra oportunidad. Claramente dice que es necesario utilizar la licencia y registrarlo antes de que la oferta termine (termina normalmente en 2 días) y la licencia una vez activada dura solo 6 meses, hay que leer mejor las condiciones de uso. Which offer this is stuck-up? It is only a little extended Trial offer!